Do you like stories about UFOs, ghosts, Bigfoot, lake monsters, near-death experiences and good old conspiracy theories? And do you also find it hard to meet like-minded folks who are into those same, fringy things -- perhaps even someone with whom you could start a relationship with? "I know what it's like to try to look for somebody that you want to spend the rest of your life with, and it's not that easy. Society is at a point now where you don't want to meet people in a bar," said George Noory, co-founder of ParanormalDate.com, and the popular host of "Coast to Coast AM," with nearly 600 stations, the biggest nightly radio talk program in North America. 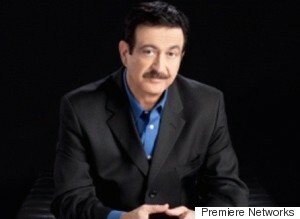 The "Coast to Coast AM" audience is captivated by all things paranormal, extraterrestrial and conspiratorial, and Noory wants to help a lot of these people get together. "Digital and dating has turned into billions of people online all over the world, looking for that special person. It's amazing to me how digital has created the ability for people to get to know each other before they even meet," Noory told HuffPost. According to Forbes.com last year, "Online dating is more common, and less stigmatized, than ever before. Eleven percent of American adults now use online dating sites -- up from just 3 percent in 2008. 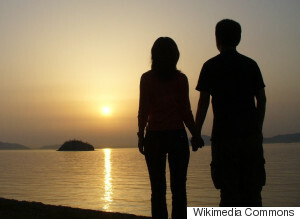 Four out of 10 adults who are 'single and looking for a partner' are looking online." Pew Research Center reports how "Nearly nine-in-10 Americans are online, and dating on the Web has grown in both popularity and acceptance." Noory knows full well the common interest people have in strange things that go bump in the night. "At any given time, we have three-and-a-half million listeners, and one of the things I've always done on the show is to broadcast live on holidays, because there are a lot of lonely people out there. So, this is just another thing I've created that I hope will help people get together and meet others of like interests." Website developer Mark Rollings is Noory's co-founder of ParanormalDate.com. "We saw that this is a large, untapped market, and with George's special connection to his audience, it was a natural progression from his radio show and personal appearances. So many people hunger to share their experiences with the paranormal, unexplainable or the afterlife, and this is one more source for them to meet and share that common interest," Rollings said in an online statement. When you go to ParanormalDate.com, Noory says, you'll be able to do the same types of things that are done on most other dating sites: uploading your photo, adding a bio about yourself, explaining your specific interests and the type of person you're interested in. The main difference, of course, is that you hope to hook up with someone who shares your enthusiasm with one type of subject. "Generally, this will be for people who are interested in the unusual -- the mysteries -- so it's really not for anybody who's just looking for a date. If they're not interested in the genre, into the topics that we cover on 'Coast to Coast,' it's probably a waste of time for them. But if they're truly interested in the unusual, this is a great site for them," said Noory, pictured at left. "In the old days of courtship, you had to meet someone and go out. Nowadays, with text messaging and digital websites, like ParanormalDate.com, you'll get a pretty good understanding of that person before you meet. And then, when you meet, it's as if you've known that person all along, and that, to me, is the most fascinating aspect of all of this."